Pay, power and politics: Where did Carlos Ghosn go wrong? The rapid fall from grace of automotive legend Carlos Ghosn is reverberating throughout the industry and casts a shadow over the future of the Renault-Nissan-Mitsubishi alliance, the largest automotive group in the world that he created and led. It also sets up a standoff between Japanese and French authorities. Last month, Ghosn was arrested in Japan for allegedly underreporting his pay as chairman of Nissan and using company assets for personal purposes. He reportedly has denied the allegations. 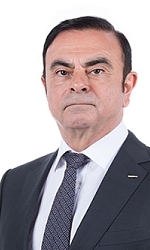 Ghosn was ousted from both Nissan and Mitsubishi, where he was also chairman, but he retains his job as chairman and CEO of Renault. Meanwhile, French authorities said they are waiting to see evidence of the executive’s alleged improprieties. Ghosn is a French citizen and the French government holds a 15% stake in Renault, which owns 43% of Nissan. Nissan has a 15% non-voting stake in Renault and owns 34% of Mitsubishi. Ghosn is an industry icon who led the turnaround at both Nissan and Renault. He is also the first person in the world to run two Fortune 500 companies at the same time. In an industry that has seen failed mergers such as Daimler-Chrysler, he is credited with successfully managing the automotive alliance, which by some measures became the world’s largest seller of vehicles in 2017, for the first time. With Ghosn’s future in doubt, a key lesson for corporations is the risk of concentrating too much power in a single executive. Wharton management professor John Paul MacDuffie said he was "shocked and amazed" by the downfall of Ghosn. MacDuffie is the director of the Programme on Vehicle and Mobility Innovation at Wharton’s Mack Institute for Innovation Management. "I know some of the tensions in the alliance but also many of its strengths," he said. "None of that gave me any inkling of this personal scandal [involving] Ghosn." MacDuffie happened to arrive in Japan the night before Ghosn’s arrest, and got a ringside view of the unusually strong impact it had on Nissan. In a news conference after the arrest, Nissan’s CEO, a protégé of Ghosn, was "unusually personal and candid for a Japanese senior executive, talking about his shock and sorrow and anger over that," MacDuffie recalled. Richard Dasher, director of the U.S.-Asia Technology Management Centre at Stanford University, suggested that Ghosn perhaps had trouble brewing for him for a while. He described Ghosn as "an autocratic leader" in the style of a Steve Jobs at Apple, and that "[he] was not particularly liked, although he had to be respected." "This looks a little bit like a setup job by the new leadership in Nissan," added Dasher. "It sounds like they got him on something. Executive compensation packages are very complicated." But he noted that Ghosn has not been accused of a brazen act like taking unethical cash payments. "It seems that this had to do with the company buying four luxury overseas properties and providing them for the use of Mr. Ghosn. And he did not count what the company paid for these properties as part of his own income, which they are required to state." Many people view Ghosn "as one of the saviours of the auto industry" and the accusations against him are upsetting, according to Tim Hubbard, assistant professor of management the University of Notre Dame’s Mendoza College of Business. "When news like this happens where it’s a personal issue at a company, it’s very disappointing," he said. "It’s one of those situations where you hope if a CEO or a chairman is going to lose their job, it’s over a performance issue, and that it’s not over something where they’ve chosen to benefit personally from the firm in a way that is illegal to the point that the Japanese officials have arrested him." MacDuffie, Dasher and Hubbard discussed the takeaways from the Ghosn scandal on the Knowledge@Wharton radio show on SiriusXM. Ghosn earned compensation of $8.4 million from Renault and $6.5 million from Nissan in fiscal 2017, according to CNBC, not counting pay from Mitsubishi. However, he allegedly reported to the Tokyo Stock Exchange only about half the roughly $89 million in his compensation over five years, according to a Reuters report. Transparency over pay is critical, especially for an executive of Ghosn’s standing, according to Hubbard. "This is one of those cases where we really expect the board of directors and the public to know exactly what a chief executive officer is being paid," he said. "And when there’s a discrepancy of this amount, it’s [because] there wasn’t this transparency." According to Hubbard, that apparent shortcoming in transparency occurred against a backdrop of discomfort in France and Japan over CEO pay. "He made four times more than Toyota’s CEO and so he was already making a lot of money," Hubbard said. "In this case, he was able to make more and hide that in the [regulatory filings] and keep it out of the public eye." Ghosn’s case represents "an unusual situation, because he has to balance the corporate governance requirements and the expectations of Japanese companies, at the same time as [those of] French companies." However, because of Ghosn’s success in managing the Renault-Nissan-Mitsubishi alliance, "I’m sure that his demands for high pay were probably accepted pretty quickly," MacDuffie said. Dasher added that although Ghosn’s pay "is rather high, it’s comparable" to what Mary Barra, chairman at General Motors, and Jim Hackett, CEO of Ford Motors earned last year (reportedly $22 million and $16.3 million in 2017, respectively). According to MacDuffie, much of the grudging over Ghosn’s pay was because of "the unusual governance arrangements where he is the single person at the apex of all three of those companies, and therefore claiming CEO-level pay from all three of those companies." He attributed that factor to having "pushed the tension" over his pay to a high level. "The tension would still be there in the absence of the alleged personal abuse of those funds. I can see why people are wondering if it’s a palace coup or if there’s something that’s suspicious in the timing of [Ghosn’s arrest]. I guess we’ll learn more as the full story comes out." Did Ghosn have far too much control at the three companies? Apparently yes, noted MacDuffie, pointing to a Nissan director’s comments at a news conference where "he was critical of how much power is centralised in one person" in the alliance. Ghosn, 64, is approaching retirement and had already announced his plans to exit all roles in the alliance by 2020. "If he hadn’t emerged as such a hero from the early stages of this turnaround [at Nissan and Renault], many people would have said it’s a little risky to concentrate that much power in one person." "There’s too much power in this case," added Hubbard. "The board of directors of each of those companies is embedded with [Ghosn], and over 20 years he’s been involved in all three of these companies - Mitsubishi Motors a little bit less. But in that amount of time, he’s been able to solidify his power in relation to other directors, and I think that’s [helped] remove some of the monitoring capabilities that we would expect from a board of directors. … Oversight from the board of directors is there to prevent these types of things from happening." Dasher saw the clash over Ghosn’s power coming to a head. "I’m a little concerned that what we’re seeing is old style Japanese consensus management trying to replace or get rid of the foreign, autocratic style of management," he said. Based on remarks at the Nissan press conference about one person having too much power, he added, "This makes me suspect that you’ve got a group of directors and other senior executives who would like to go back to the way things were in Japan." MacDuffie noted that Ghosn has been criticised for not doing enough with succession planning. "But I can’t think of another situation like it in the world - to have one person be the chairman of three different auto companies, and the CEO of two of them," he said. "On the other hand, this alliance from the start has had an unusual form of corporate governance, and some people think it’s the reason for its success - it was not a merger or an acquisition. At least the rhetoric has been that the [alliance companies] are equal parties to all decisions." He added, though, that the French government might have a "disproportionate influence" on the running of the alliance because of cross-holdings. "Ghosn might be the glue that’s holding [the alliance] together and making it work," said Hubbard, noting that each of the companies is run independently and they share models and technology among them, which is helped by the quality of coordination around the three companies. "That might actually be the reason for [the alliance’s] success - that there is a powerful leader who is able to take charge in each of the three. It could be that without him in there, there might be issues with the alliance going forward." Even those who want Ghosn removed give him grudging respect. Mitsubishi CEO Osamu Masuko does not think one person could fill Ghosn’s roles at the three companies. "I don’t think there is anyone else on earth like Ghosn who could run Renault, Nissan and Mitsubishi," he said, according to The Guardian. Nissan, too, has credited Ghosn for its turnaround: "Mr. Ghosn was the lead architect of the Nissan Revival Plan, which transformed the company from near-bankruptcy to profitability within two years." The company added that under his leadership, it has had "higher profit margins than many rivals and has expanded geographically." The turmoil at Renault-Nissan-Mitsubishi is occurring at "a stressful time, but also an exciting time for the traditional auto industry," said MacDuffie. The industry is grappling with multiple changes, from electric vehicles to autonomous vehicles and mobility-as-a-service (such as Uber and Lyft), and many new competitors coming from Silicon Valley and elsewhere, he noted. "These firms are scrambling to figure out how best to deal with all of those new developments while trying to run the traditional business." At least, the alliance has had some success. "Frankly, they’ve been doing fairly well," MacDuffie said. Nissan is seen as a leader in both autonomous vehicles and electric vehicles in Japan and elsewhere in the world." He noted that Renault has done well with engineering "some extremely frugal designs" for markets in Eastern Europe, India, and lately for China as well. Any changes in the way Nissan is run after Ghosn formally exits will depend on how much power he actually wielded, said Hubbard. For now, though, the stock market sees Ghosn removal as a problem for Nissan as shares plunged after the arrest. "If this was a traditional dismissal, where there were issues with the chief executive officer and removing them from the company was a good thing … we would have seen stock prices [rise]. It’s an arrest, so the downside of the stock price made sense. But at the same time, if the change in management was going to be beneficial for each of the firms, we might not have seen as strong of a downward trend." According to MacDuffie, "The alliance probably has a lot of strengths and reasons to continue through this crisis." But the wild cards are the depth of the scandal and conflicts among the French government, the Renault board and Nissan’s board over what each sees as the best approach forward. He pointed to tension over a proposal for a full merger in which Renault’s dominant ownership stake would give it a more permanent power, and that it was strongly resisted by Nissan. "The corporate governance complexities here could destabilize the alliance - which would be a shame, because there’s a lot of strength there." Knowledge@Wharton is the online research and business analysis journal of the Wharton School of the University of Pennsylvania. Visit our InfoCentre or website.